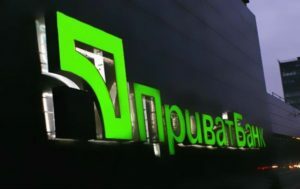 The Ukrainian government announced on December 18th that it nationalized Privatbank. According to the Kiev Post, the reason is because 80% of the loan portfolio is insider loans. In other words, the bank was a pyramid fraud and the assets were stolen. Now, Ukrainian taxpayers are expected to repay the bank’s deposits. The numbers seem to indicate that the Ukrainian national debt could double from this. It’s a repeat of the nationalization of Parex Bank which doubled Latvia’s national debt. Privatbank maintains a subsidiary in Latvia that is specialized in money laundering. Latvia is an excellent location for money laundering because (1) it is in the European Union and (2) the government is 100% corrupt and never enforces money laundering laws. The big money laundering oligarchs, Valery Kargin and Viktor Krasovitsky of Parex and AB.LV in Latvia, Ilan Shor with several banks in Moldova, and Ihor Kolomoisky with Privatbank in Ukraine and Latvia, all appear to be friends with each other because often their money laundering schemes are done in cooperation. They have now successfully destroyed the economies of all three countries. We wonder when the international community will stop bailing out these frauds and instead force Latvia/Ukraine/Moldova to put these oligarchs in jail and take back the stolen money?